Tickets for Childcare available for $5, $3 for children under 6. Purchase in the bookstore. Please join us for an evening of fellowship, food and fun! 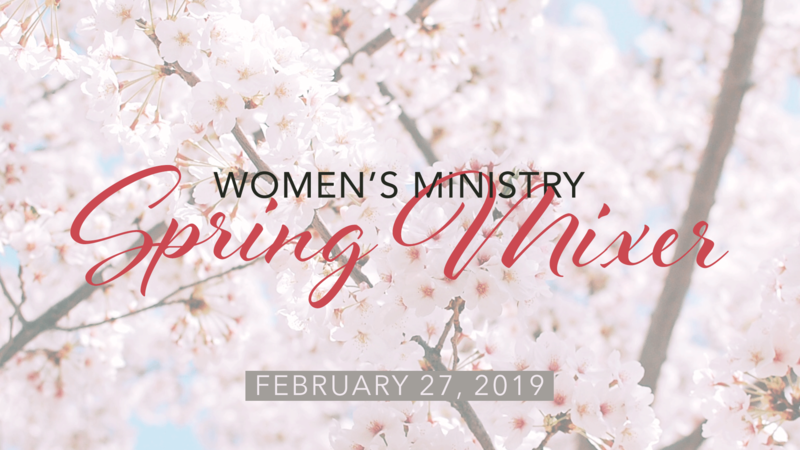 On Wednesday night, February 27th, the Women’s Council will be hosting a fellowship dinner from 5-6:25PM. Learn about the new bible studies starting in March and meet new friends at our “Getting to Know You” event. Tickets are $5 and $3 for children under 6. They may be purchased in the Life Resource Center (LRC). The deadline to register is February 13th. Space is available for children. For questions or more information, please contact Morgan Drake at afm@hoffmantown.org.